Trekking in Armenia is an ideal choice for adventure lovers – impressive mountains and natural and historical monuments will not leave anyone indifferent! We offer you to familiarize yourself with our trekking tours in Armenia and make an exciting trip to the mountains of Aragats (the highest peak in Armenia) and Azhdahak with the assistance of professional guides. Discover the hidden corners of the delightful nature, make new friends and get a portion of adrenaline! Armenia is a country of mountains, deep gorges, dense forests and winding roads. And the combination of natural resources with a rich cultural and historical heritage makes our country especially attractive for those who appreciate not only nature and adventure but also wishes to combine active rest with cognitive one. 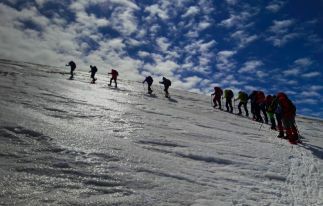 Therefore trekking tours in Armenia are gaining a lot of popularity. The best season for trekking in Armenia is the period from the end of spring to the middle of autumn - at this time the weather is pleasant, there are few rainy days, and nature pleases with the brightest colors. 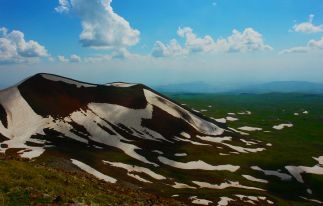 In our tours presented above, we chose the two most favorite and popular places for trekking in Armenia - Mount Aragats and Mount Azhdahak.